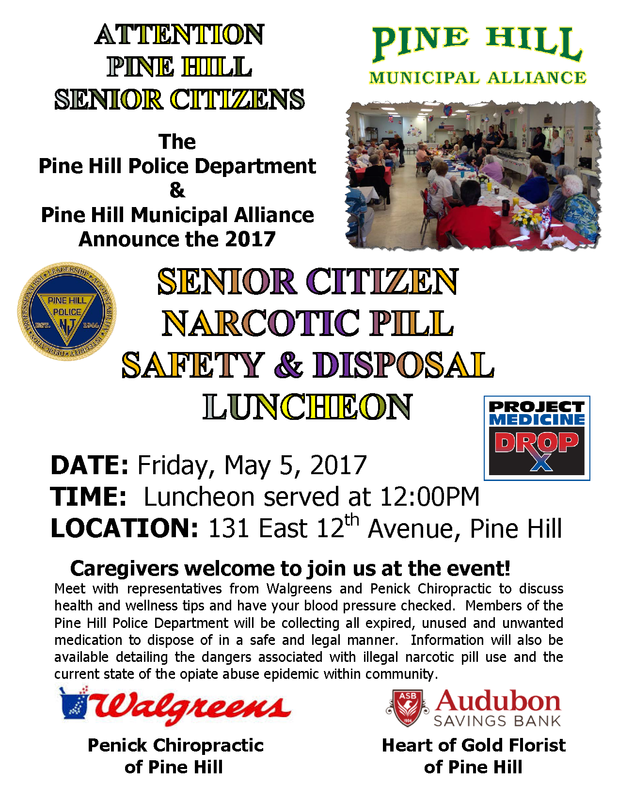 Caregivers welcome to join us at the event! Meet with representatives from Walgreens and Penick Chiropractic to discuss health and wellness tips and have your blood pressure checked. 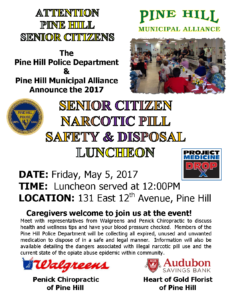 Members of the Pine Hill Police Department will be collecting all expired, unused and unwanted medication to dispose of in a safe and legal manner. Information will also be available detailing the dangers associated with illegal narcotic pill use and the current state of the opiate abuse epidemic within community. Copyright © 2019 Pine Hill Police Department. All Rights Reserved.